You're visiting your grandmother on the coast of Japan, but she's sick and can't collect the abalone, sea urchins, and sea oak seaweed to sell at the market. Time to help — go collect them for her! 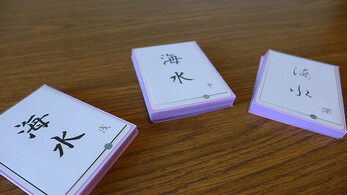 祖母(そぼ)は海女(あま)だよ！• Grandmother is an Ama is a game for one or more players where you freedive to collect your grandmother's portion of abalone, sea urchins, and sea oak to sell at the market. But watch out — dangerous sea snakes and land snakes have been spotted in the area! 祖母は海女あまだよ！• Grandmother is an Ama uses one dive deck per player. 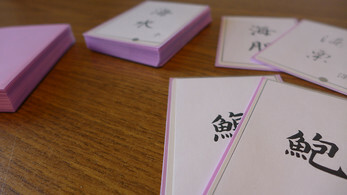 Inhale deeply and then start exhaling and your dive by flipping cards one at a time. Make a pair to successfully catch abalone, sea urchins, or sea oak seaweed. Return to the surface with a controlled ascent one card at a time or disturb the water with an uncontrolled ascent. But beware! Running out of breath or mistaking a sea snake for one of the other cards will lead to passing out. The first player to collect 4 abalone, 3 sea urchins, and 2 sea oak wins! 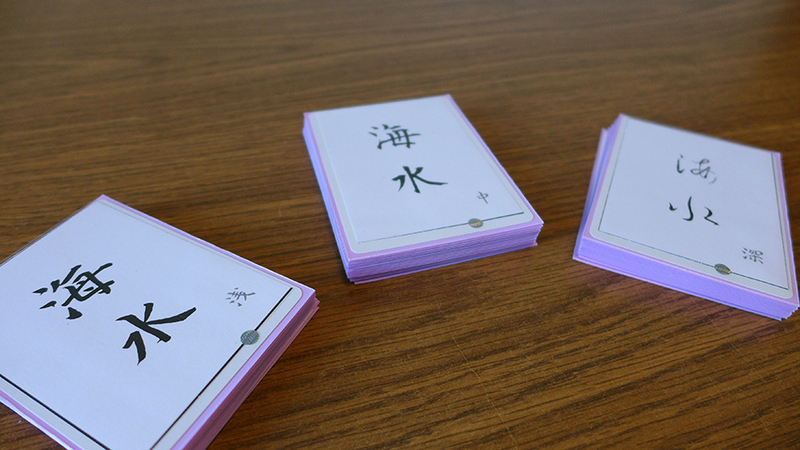 The print-and-play edition includes 45 cards, card backs, and rules for playing the game. Each player needs their own deck, and a copy of the rules will also help.The cards are poker-size and are easy to use with card sleeves. 祖母は海女あまだよ！• Grandmother is an Ama is free to download and free to share. Let us know what you think, too. And if you enjoy playing 祖母は海女あまだよ！• Grandmother is an Ama, donate to show your support — Thanks! The latest revision is 20170308. Adaption of 海女 by Emily Jiang used under Creative Commons — Attribution 2.0 Generic — CC BY 2.0.